Toys and games are on my mind year-round, but the holiday season adds an extra layer of history, tradition and nostalgia to my passion for play. And so, my son and I made our way this past weekend to the New York Historical Society on Manhattan’s Upper West Side and back through more than 150 years of childhood wonder. 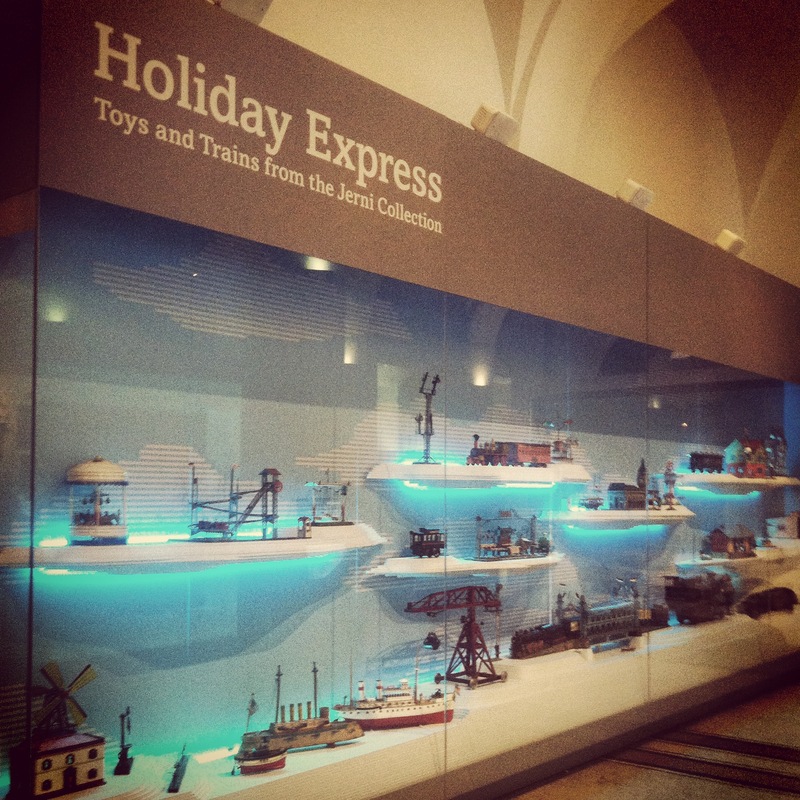 The museum’s ground level entrance and rotunda galleries are currently occupied by the stunning Holiday Express: Toys and Trains from the Jerni Collection. The name of the collection is derived from the names of Jerry and Nina Greene, the Philadelphia area collectors who amassed more than 35,000 toys over some five decades. 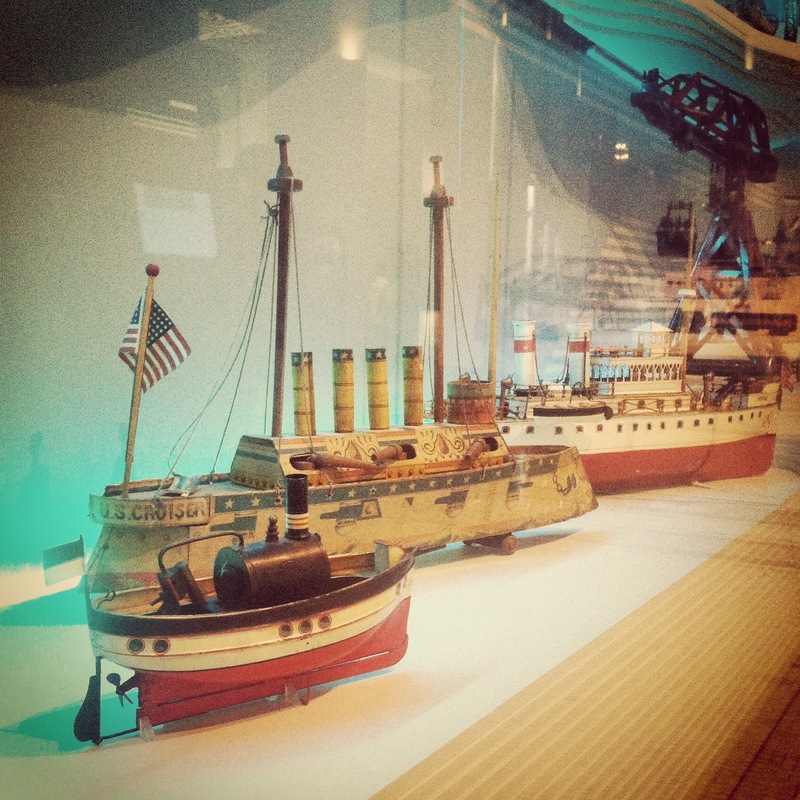 The Jerni collection, considered one of if not the largest toy collections in the world, represents a comprehensive story of what is considered the high water mark in toy making from the mid-19th through 20th-centuries. With a heavy leaning toward European manufacturers like Märklin, the railroad themed items in the collection are dizzingly ornate and go beyond locomotives and carriages to encompass railroad stations, amusement rides and detailed mechanical machines and vignettes. Boats, bridges and other transportation toys are also included. Everything displays an incredible level of detail and refinement in the use of metal, wood, paper cloth and hand-painted finishes developed through advances in manufacturing processes through the late 19th-century. Just a few years ago, the Jerni collection began seeking a new home. After displaying some of the collection at Sotheby’s auction house in 2010, no appropriate buyer was found to meet the estimated eight-figure value of the collection. A small portion of the collection went on display again in November 2012 at the NYHS which generated enough interest from a group of donors to underwrite the cost of acquiring the monumental collection. Two years later, the Holiday Express exhibit offers just a glimpse of what the museum now has under its roof. 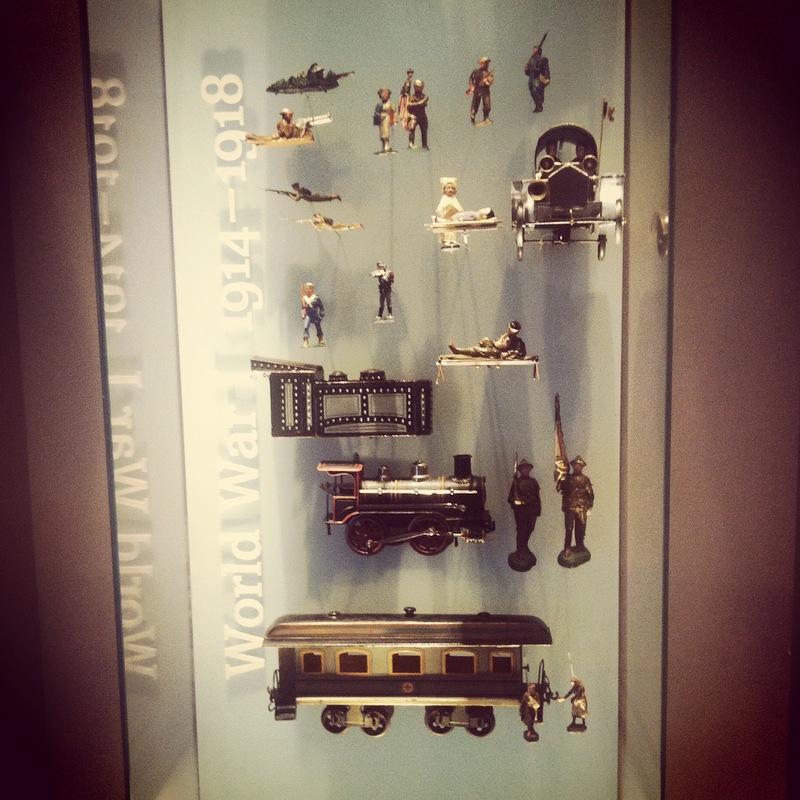 While the current Holiday Express exhibit of some 300 objects is heavily focused on railroad-themed toys, my interest was drawn to the side displays of toy cast metal soldiers. 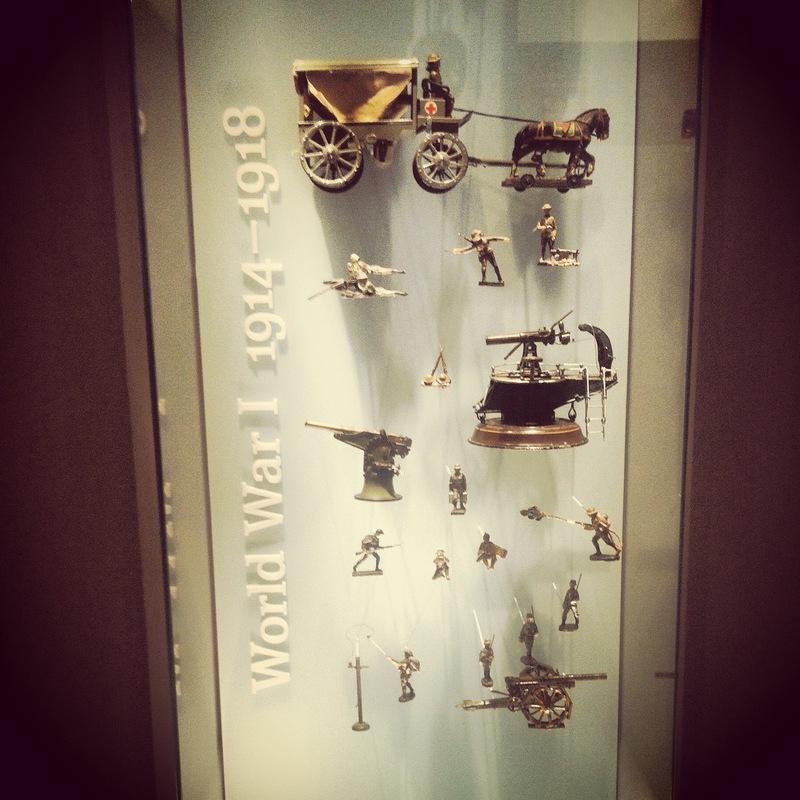 Several periods are represented, from early American and Old West toys to a fantastic grouping of World War I era soldiers, vehicles and artillery. The preserved original paint, cloth, string and wires on these toys is some of the most impressive I’ve seen. Thin bayonets continue to protrude from the ends of tiny rifles, and an olive drab fabric cot is still doing service holding an injured soldier. 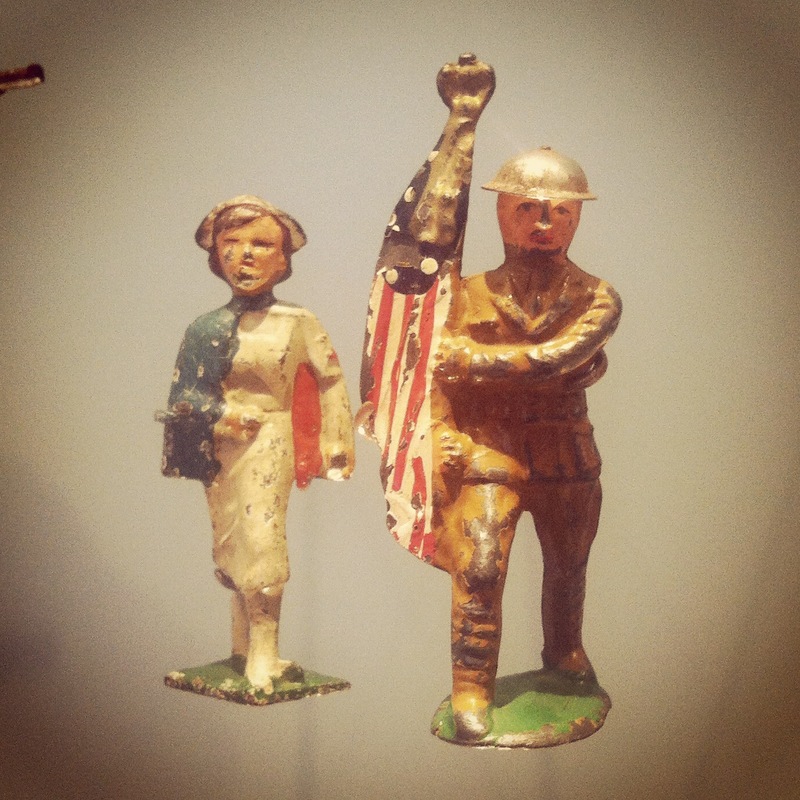 The survival and ongoing preservation of these primarily metal toys in the Jerni Collection is all the more remarkable given how many vanished through the decades of play and wartime scrap drives in the mid-20th-century. 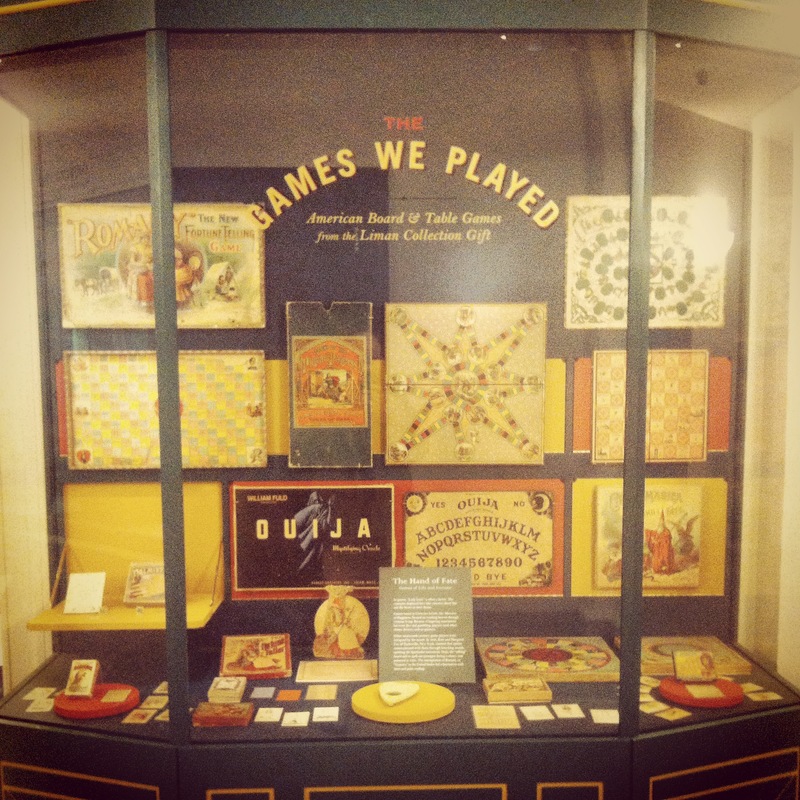 On the museum’s lower level, is the smaller yet no less important exhibit The Games We Played: American Board and Table Games from the Liman Collection Gift. The ongoing display offers a rotating view of American made board and card games selected from the 500 item collection. Focusing on the period of 1840s to the 1920s, the games help illuminate a period where a modern and less rural middle class America was on the rise. The late 19th-century also saw great advances in color printing processes, allowing for bolder and more complex graphics. The current exhibit focuses on games with the theme of “fate,” something very much on the mind of native and newly arrived Americans at the turn of the last century. I would expect similar revelations into the shared cultural experience through gaming as the exhibit continues to evolve. 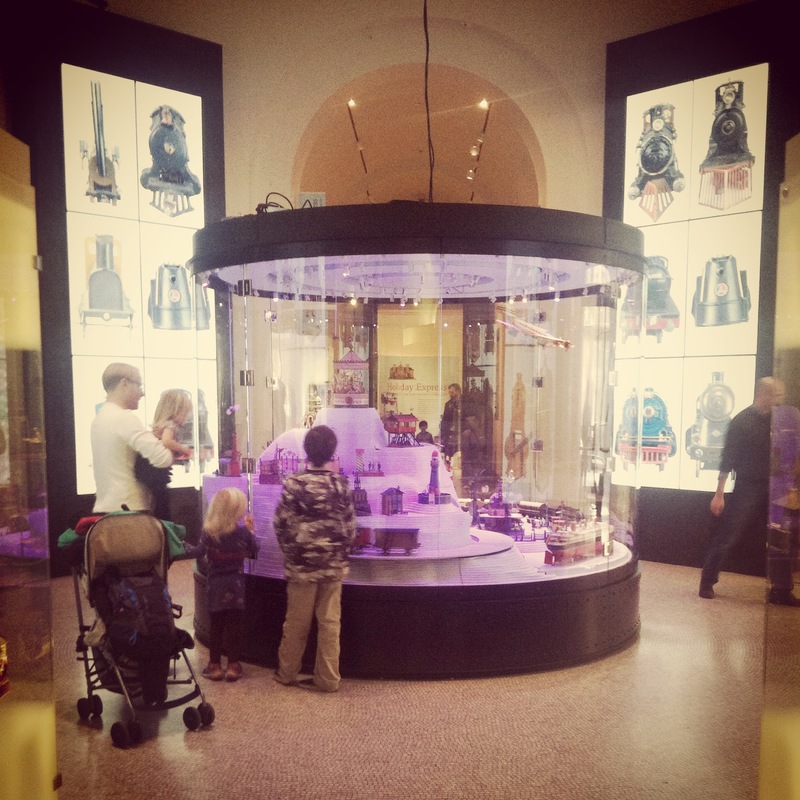 With so many stories to tell, the New York Historical Society’s current exhibit space dedicated to toys and games is certainly a crowd pleaser. 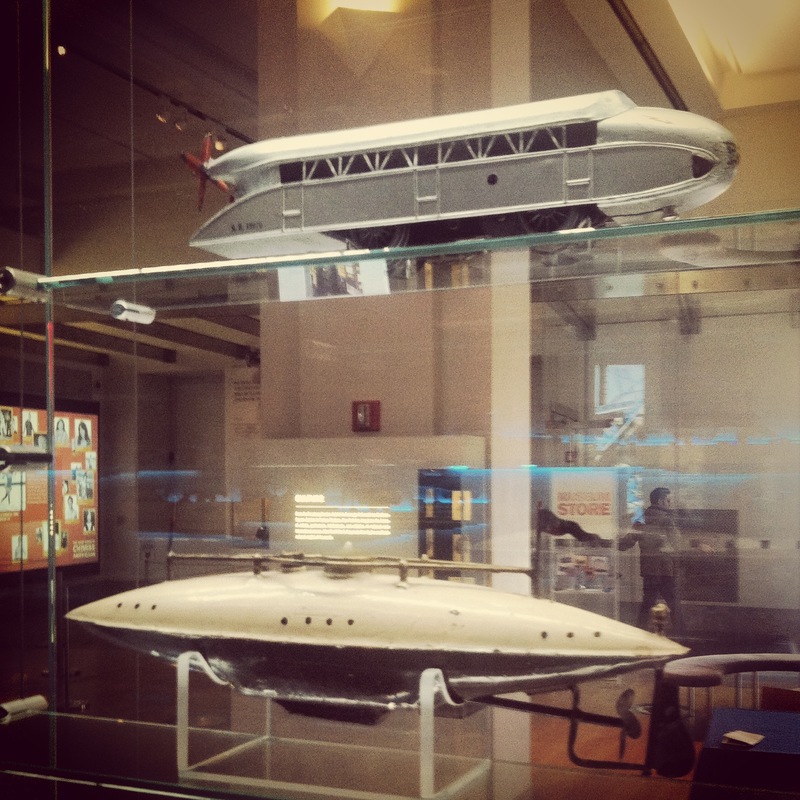 My hope is that serious focus continues in future exhibits at the museum on the themes of toys, games and play. 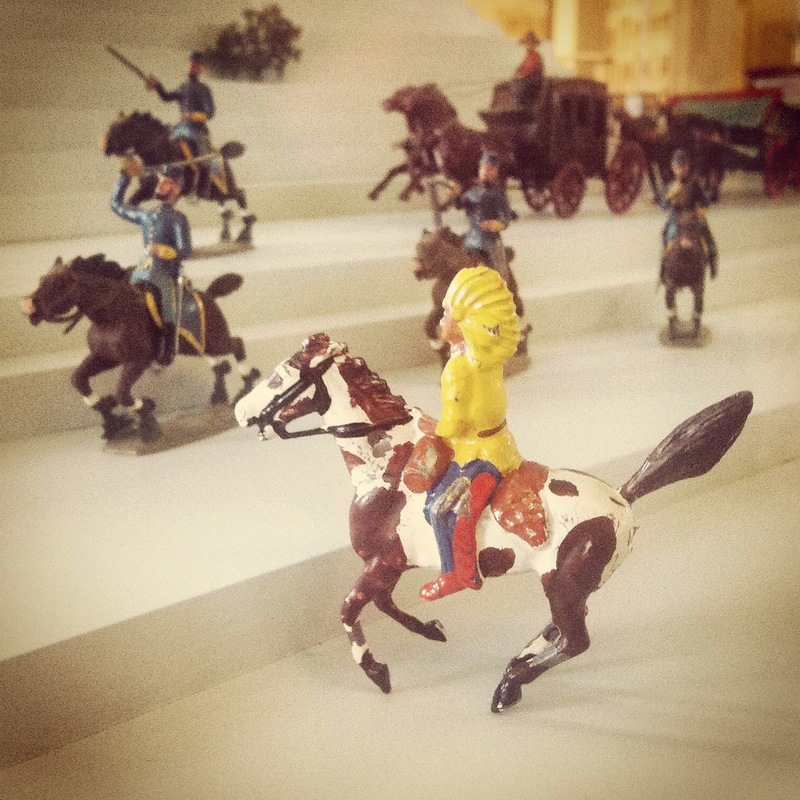 Just as technological, economic and cultural shifts drove mass change in toys and games beginning in the mid-19th-century, these same factors are driving new evolutions to the way we play today and influence who we may become as New Yorkers and Americans tomorrow. One of my favorite parts of attending gaming conventions is playing scales, periods and scenarios I usually don’t game. Getting the chance to play in scenarios run by the authors of rules is also a big bonus opportunity to experience a game “straight from the horse’s mouth,” so to speak. This past weekend at Fall In! I had one of those rare sessions that hit all these marks, playing in an Old West 28mm skirmish game of Shoot N’ Skedaddle by Oscar Turner. Since I was a kid, I’ve been a big fan of Westerns. Starting with re-runs of the old Lone Ranger TV show and radio serials, I graduated up through American Western classics like Red River and The Searchers to the Italian “Spaghetti Westerns” of Sergio Leone and Clint Eastwood. 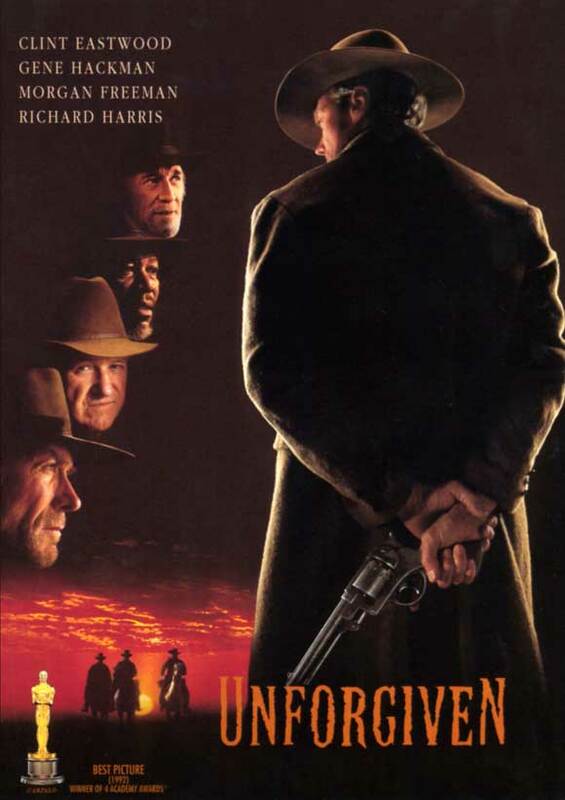 Over the years I’ve remained dedicated to the now-declining genre, and I’m an enormous fan of Eastwood’s later Unforgiven and Quentin Tarantino‘s Django Unchained. Like a lot of American boys, my interest in Western TV, radio and movies spilled over into my play time. 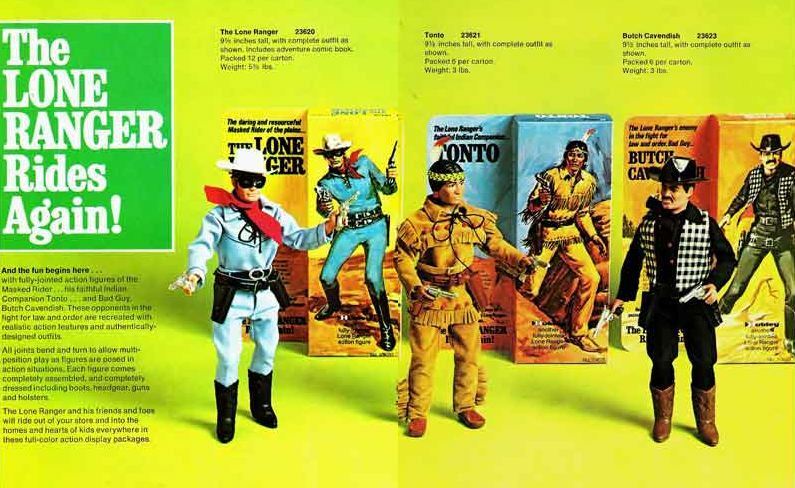 I spent a lot of time gunfighting on my bedroom floor in the 1970s with Gabriel Lone Ranger dolls and the earlier Marx Johnny West toys. I also had plenty of cheap dimestore plastic cowboys and indians, plus a pretty substantial collection of the cowboys and indians from Britains Deetail and a pile of Western-themed Playmobil toys. Despite all my interest in Westerns, gaming the genre never became my thing. TSR’s Boot Hill, released in 1975 just as Dungeons & Dragons was taking off, has been a popular RPG option for years. 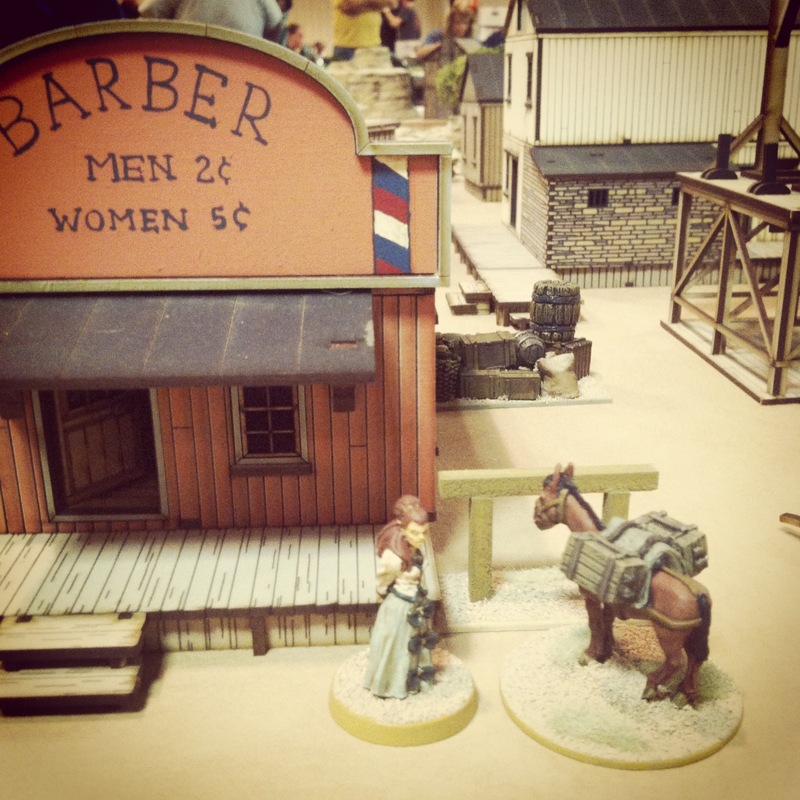 There are a number miniatures ruelsets for the Wild West, and 1992’s Desperado by Monday Knight Productions seems to be the standard I’ve seen played at conventions. 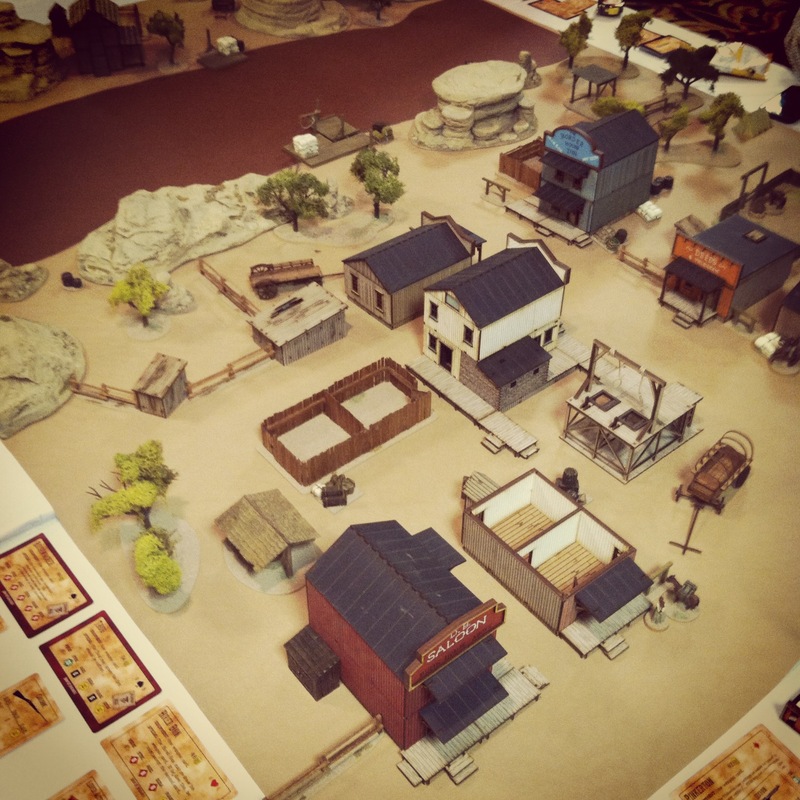 So, with nearly zero experience with shoot-outs on the streets of dusty tabletop frontier towns, I was really impressed with my three hours playing through my first game of Shoot N’ Skedaddle this past weekend. 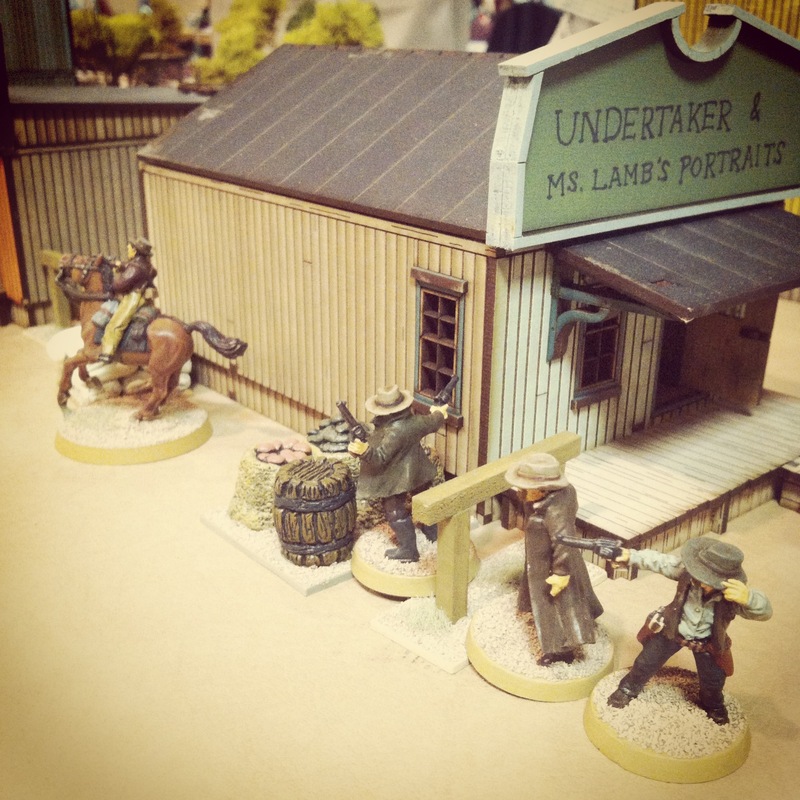 With a visually stellar town laid out with incredible laser-cut and plastic scenery, Oscar’s scenario presented a simple scenario of outlaws on the lam with lawmen in hot pursuit. In Shoot N’ Skedaddle, play begins with character cards dealt to players playing on either the Outlaw Gang or Lawmen Posse side. Main characters such as “Judge,”Doc” and “Bandit” team-up with neutral characters like “Thug,” “Cowboy,” “Townsperson” and “Thug.” Characters then draw primary and secondary weapons (if any) which can include anything from a deringer, knife or carbine to a gattling gun, buffalo gun or dynamite. There are 40 character and 72 weapons cards, making for tremedously fun variations in the player Gangs and Posses in Shoot N’ Skedaddle. The town set-up for Shoot N’ Skedaddle at Fall In! After initial deployment according to the scenario, regular playing cards are drawn to randomly activate characters in turn. I really loved this thematically-appropriate mechanic, tying the iconic Old West card game into the play. On a turn, a player can perform a combination of movements and action. Special event cards are also randonly drawn for each side, allowing the resurrection of dead characters, the arrest of an outlaw or an extra character activation. With this simple framework, characters can perform a seemingly endless variety of feats including running, hiding, shooting, grabbing a mule by the reins, jumping between rooftops, crashing through windows, kicking in doors or starting a fist fight. Player imagination bordering on role-playing is really the only boundary to the game. Lawmen with guns blazin’ in Shoot N’ Skedaddle at Fall In! To resolve actions, an incredibly elegant dice mechanic is used. Characters each come with key attributes — Strength, Agility, Scrap, Marksmanship and Guts — with each of these weighted with a D6, D8, D12 or D20. Success when using a particular attribute is resolved by rolling a 5 or better, no matter what the action and no matter what the die. For example, a poor shot would roll a D6 when firing their pistol while a more skilled character might roll a D12. In either case, the player would need to roll a 5 or better to succeed. Wounds, hiding in cover or other game conditions modify the dice downward, so that same crack shot with the D12 Marksmanship would roll a D8 when shooting at someone hiding behind a barrel. A local woman acting just a little suspicious in Shoot N’ Skedaddle at Fall In! Shoot and Skedaddle’s wonderful card and dice structure puts the focus back on the fun on the table like any really great game should. Oscar offers his game as a free PDF ruleset or in a printed set of cards for $25 ($30 with a box). Check out his website at http://shootnskedaddle.blogspot.com/ for downloads, ordering info, development news and more pics and information. The basic rules contain scenarios and a campaign option for longer-term storylines to be played. 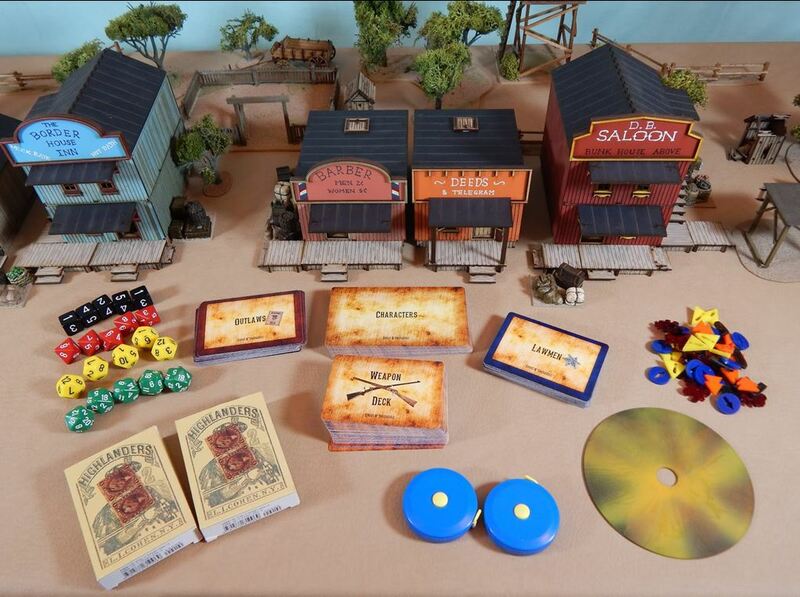 I can’t say I’m going to run out and invest in a dozen Western buildings and paint up a bunch of cowboys and local citizens, but if you’re a fan of Old West gaming, I highly recommend checking out Shoot N’ Skedaddle. It’s a bullseye.